Waipu's calendar is full of annual events and it is especially rich with Scottish events to celebrate Waipu's Scottish heritage and fascinating history. Find a event here. Waipu Christmas Parade is held every Christmas Eve. 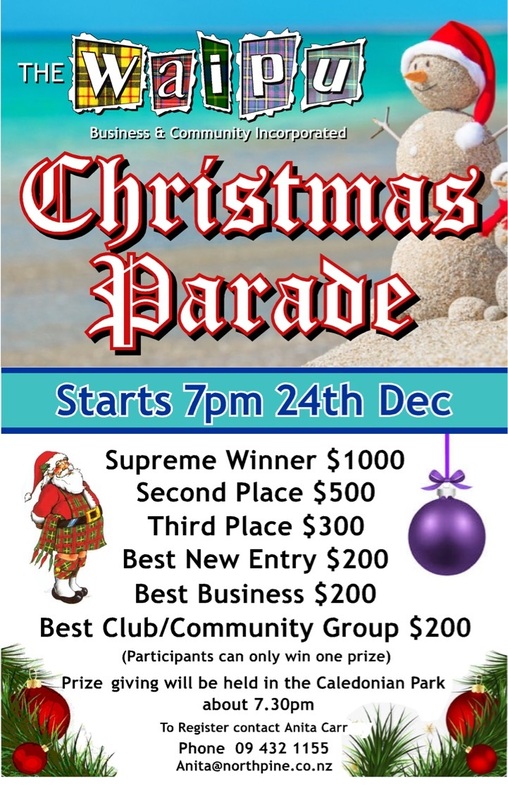 It is thought to be the only Christmas Parade in New Zealand that is held on Christmas Eve. Lots of floats, fun and of course Santa himself. Prizes for the best floats! 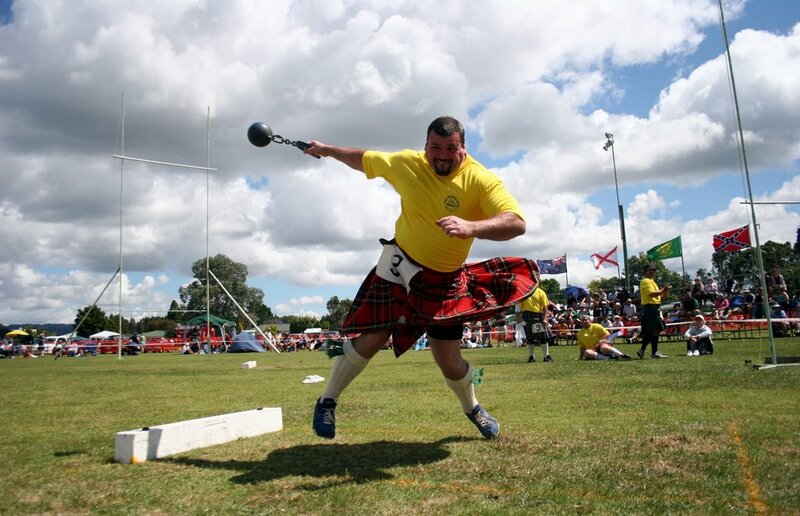 The annual Waipu Highland Games were started in 1871 by The Caledonian Society Incorporated of Waipu to celebrate the start of the New Year. 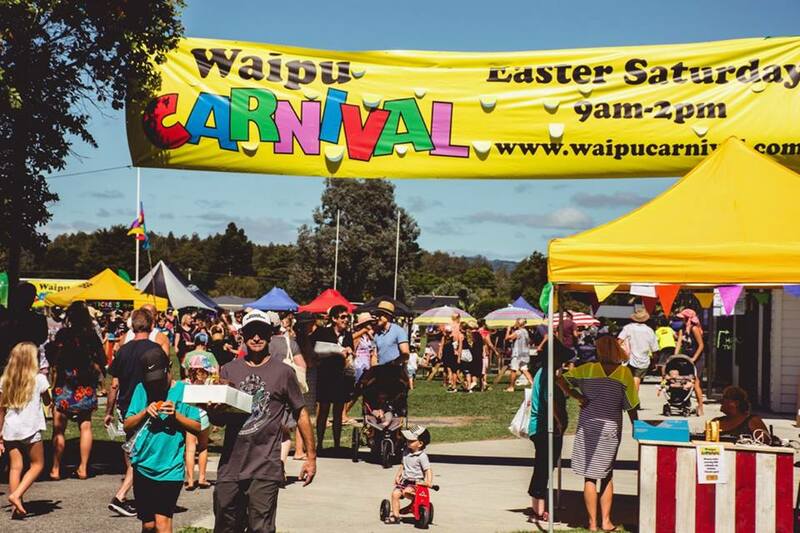 The Waipu Easter Carnival is a fantastic day out for all the family and one not to be missed. 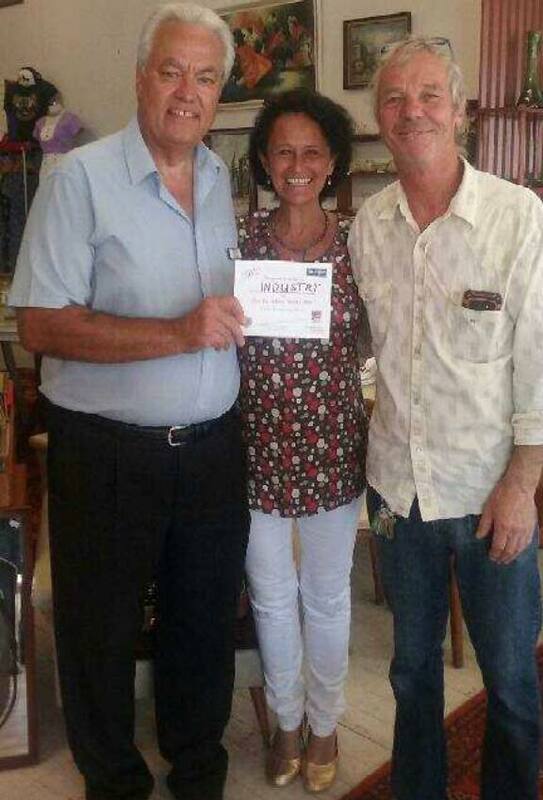 Congratulations to Industry Waipu for winning the Waipu Business and Community Inc prize for Best Dressed Shop in support of the Waipu Car and Bike Show! Enjoy the $500 worth of advertising!